It's not all that difficult to have a nice "old" look in your home. You definitely don't need to spend a fortune on antique furniture to give your home that rustic charm. 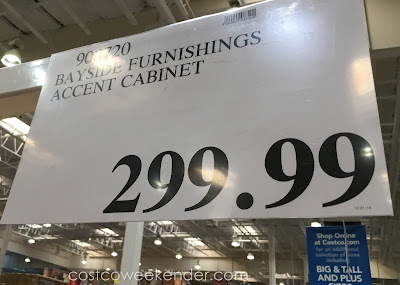 Take, for example, the Bayside Furnishings Accent Cabinet. 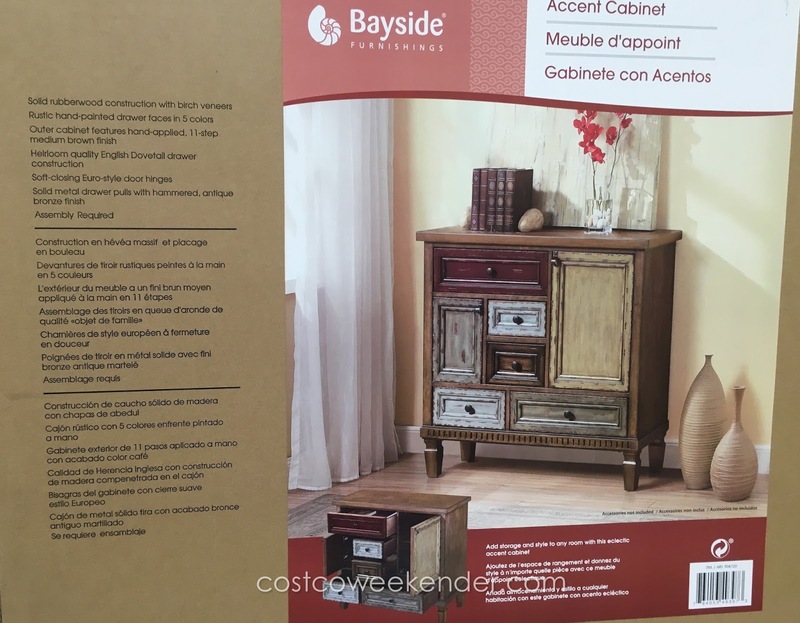 Its distressed look and seven differing sized and color compartments give your living room or bedroom a more "homey" feel. In addition to its stylish look, its quite the functional piece of furniture for anyone's house. You can use it to store your belongings. You can put pretty much anything that'll fit into it - trinkets, old pictures, jewelry, clothing, etc. Its seven drawers and cabinets give you ample space for storage and also its top surface can be used as a shelf for more of your belongings - vases, books, etc. The next time you want something old looking, be sure to go to Costco and check out the Bayside Furnishings Accent Cabinet. 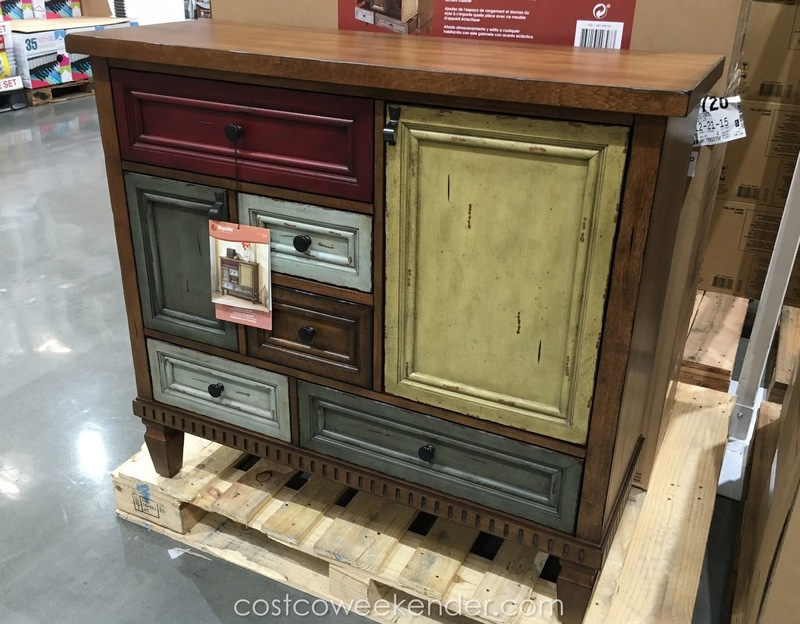 Add storage and style to any room with this eclectic accent cabinet. Rustic drawers and cabinets of various sizes add versatile storage and color to any room.